The 2019 Super Bowl is happening tomorrow and we can’t wait! Super Bowl LIII will take place at 7.30am (CST) on Monday, February 4, at Mercedes-Benz Stadium in the beautiful city of Hotlanta (aka Atlanta). Thankfully, you can catch the New England Patriots and Los Angeles Rams going head-to-head from the comfy confines of your home – in China. Below, we share two video platforms in China that will be streaming one of the biggest games in sports! Tencent signed a three-year partnership with the NFL in 2017. 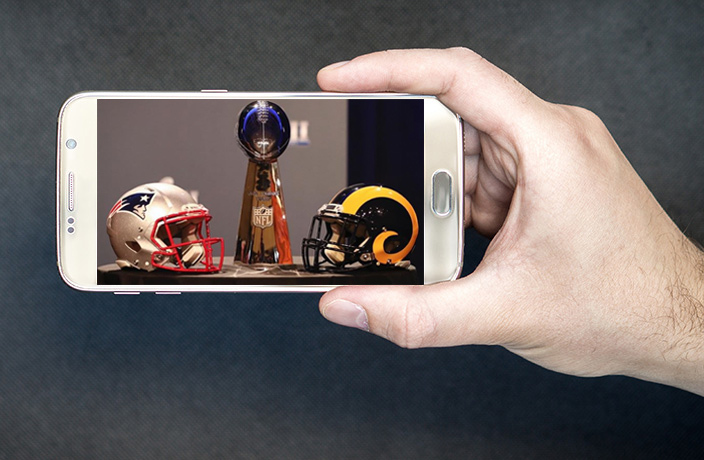 The deal included that Tencent would air the Super Bowl for the 2017, 2018 and 2019 seasons. Click here for a link to watch the Super Bowl livestream on your computer. Each year, the four-hour New Year Gala is the most watched television show in the world, with at least 700 million viewers tuning in every year. Heading for the Monday morning Bowl? We won't tell. How to watch FIFA World Cup 2018 games online in China. Skipping work for the Monday morning Bowl? We won't tell. Tom Brady and the New England Patriots will face off against Matt Ryan and the Atlanta Falcons in a fierce competition.